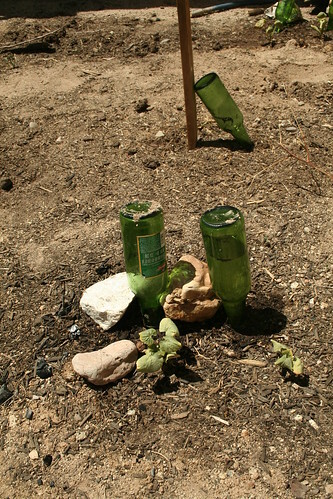 Before leaving for 9 days I asked my neighbor to water my garden once while I was gone. I can tell from the exact position where I left the hose that he did not. Despite that everything (except the gopher attacked agave) looks good. 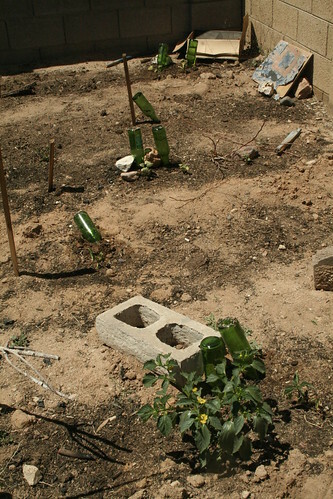 In fact, I am glad the garden did not get any grid-fed water for a week. The plants look healthier than when I left, which leads me to think I was over-watering, which is bad for two reasons, 1: Overwatering is bad and 2: Overwatering will be near impossible when the grid falls. 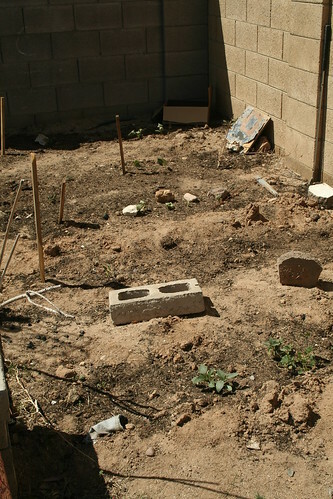 By then I should have an idea of how to grow with the least water possible. The plants I am growing all have been specifically selected because they are Southwest friendly, meaning they don’t need a lot of water (for example, like celery would.) I have planted bush beans, pole beans, winter squash, summer squash, tomatillos, and habanero peppers.The return of seeds and/or seedlings producing actual plants though seems very low. 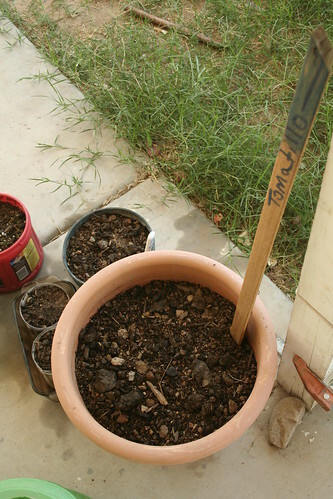 The first batch of seeds went into the ground on Feb 22. 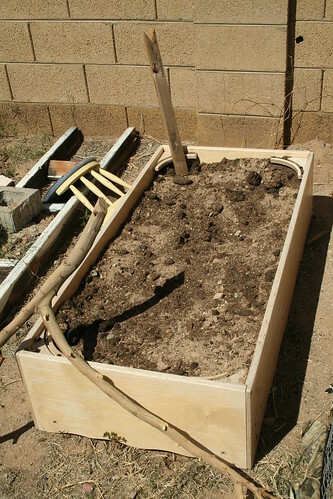 I then planted another round three weeks later, thinking I don’t want all the veggies to come in at once. I seem to be getting about 2 plants for every 10 or so seeds planted. I am not sure why the low yield. Above: From Front to Back, tomatillo, bush beans, summer squash, more bush beans, and winter squash. About 12 sees planted to each row, but each row is only producing 2 to 3 plants each, but those plants look strong. Above: I have had no luck with the Habanero peppers, not even a single weed, much less an actual wanted plant has grown in the elevated garden. The elevated garden was made from a discarded baby bed I found in the alleyway. I think my mix of manure, compost, and soil in the backyard has too much of the backyard soil. 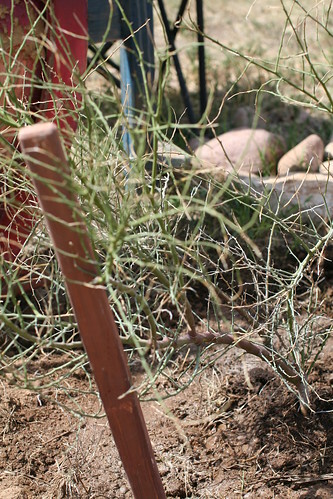 Above: On a positive note, the Blue Palo Verde I planted a week and have ago seems to have survivied the shock of transplanting.